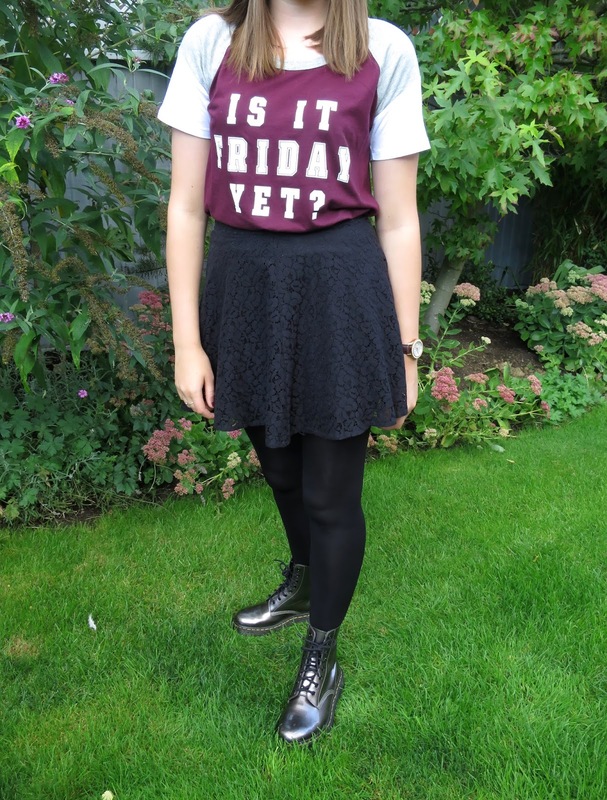 I'm so excited to share with you my first fashion post - hopefully many more will follow! I wasn't too sure what to show you but I decided on an OOTD. This is one of my favourite outfits as it is so comfy and I feel like it represents my personality a lot - the top especially!! I'm always the person wishing it was Friday so when I saw this in Pink, I had to pick it up! In actual fact, the 'top' isn't a top; it's a nightie. However paired with this skirt, I don't think you can really tell and it's so comfy to wear!! The skirt, I picked up about a year ago in Topshop when skater skirts were the new craze! I love it because I think the lace detailing is so pretty!! Finally, I thought the Doc's would make this outfit more edgy and I always love wearing them! What did you think of this outfit? 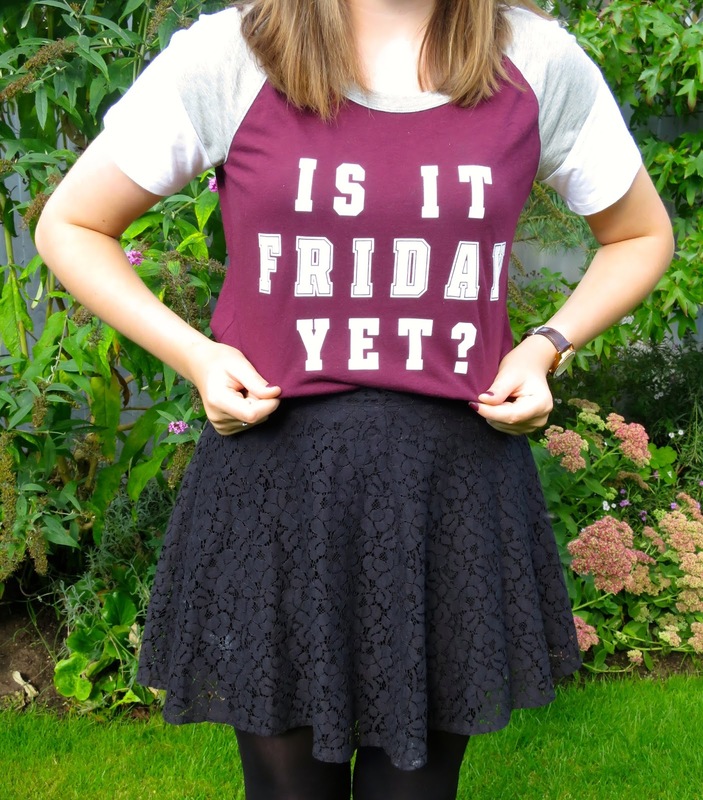 Have you got any fashion post requests for the future? I love this outfit! You should definitely do more fashion posts! Thank you, some new ones will be up soon! I love your top! It's clever. Hope to see new ootds soon! Haha, thank you! There will be many more to come! You know I love fashion posts! Great outfit love the top! Thank you :) Haha yes definitely! I really like it!! This is completely my style and I had no idea the top was a nightie!! Haha, I'm glad because it's so comfy to wear out!! !